General Motors is rolling out new software this month for dealerships to make it harder for them to mistakenly sell a new vehicle that’s subject to a recall, without first performing the recall work as required. “We consider safety a core value, a core priority,” Tim Turvey, GM global vice president of customer care and aftersales, said in a telephone interview Monday. The software tools will be phased in through the third quarter, he said. First up is an “incentive lookup block,” Turvey said. Just as it sounds, the software will prevent dealerships from looking up what incentives apply to a particular vehicle if it is subject to recall and there is no record of the work being done, GM said. The initiative comes after GM recalled an all-time record 27 million vehicles in the U.S. last year in the wake of its ignition-switch safety crisis. As of Friday, GM's claims administrator had approved compensation for 84 victims of fatal crashes involving the switch. Dealerships can and do look up vehicle identification numbers to check whether a vehicle is subject to a recall, but they can look up only one vehicle at a time on a National Highway Traffic Safety Administration website, experts said. It also can be difficult for a megadealer operation to keep up-to-the-minute tabs on exactly which vehicles are on which lot. Linking the recall data to incentives gives the recall data a much higher profile, Turvey said. NHTSA Administrator Mark Rosekind praised GM’s initiative, in a speech and question-and-answer session at the World Traffic Safety Symposium in New York on Friday. Rosekind said GM’s action was in response to a case in Pennsylvania, where a dealership was fined for selling new vehicles without first performing required warranty work. Separately, NHTSA confirmed Rosekind was referring to Chapman Chevrolet in Philadelphia. The dealership agreed to pay a $50,000 civil penalty for selling 23 new vehicles without required warranty work, and the case was settled Oct. 1, according to NHTSA records. Rosekind said the GM changes have both a “carrot” and “stick” aspect. 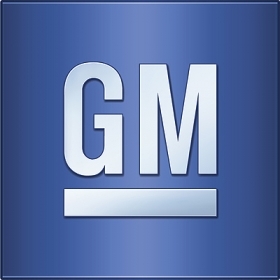 The carrot is that GM also is coming up with a way to highlight for dealers how much revenue they stand to gain as compensation from GM for performing recall work, he said. The stick is the dealership’s inability to apply incentives until the work is done, the NHTSA administrator said.